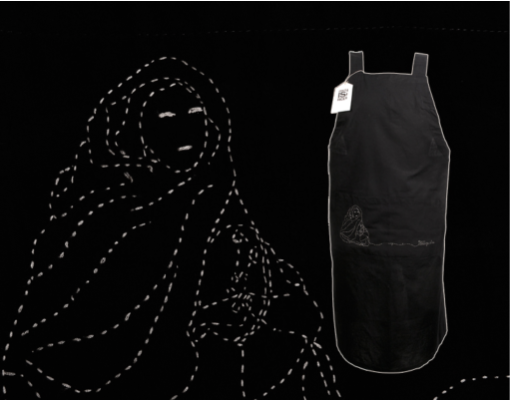 Kitchen’s aprons collection. 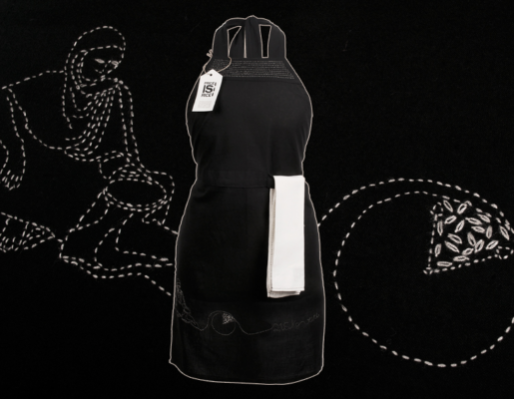 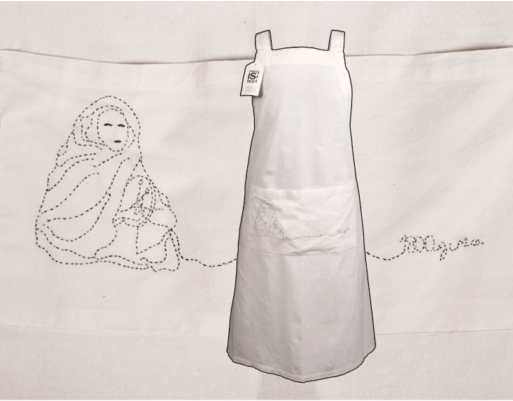 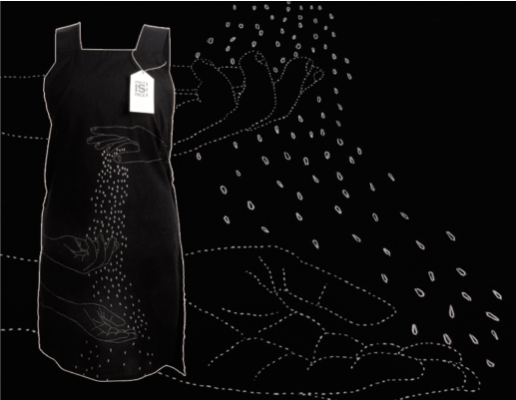 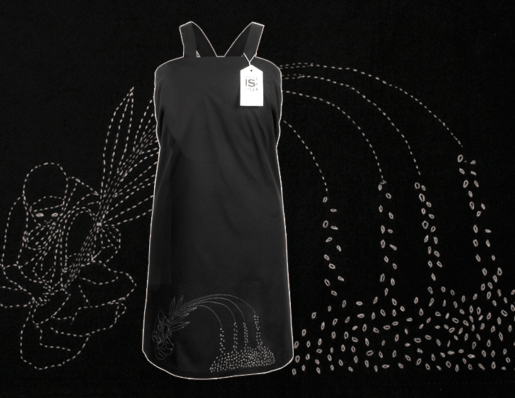 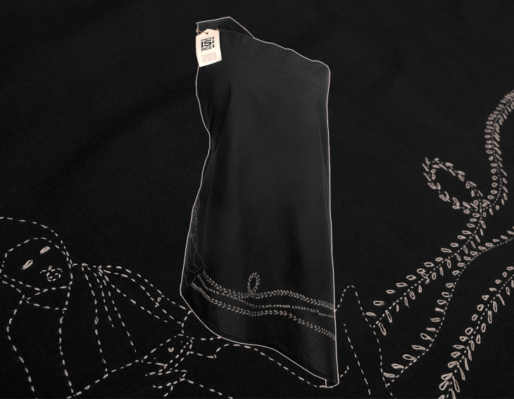 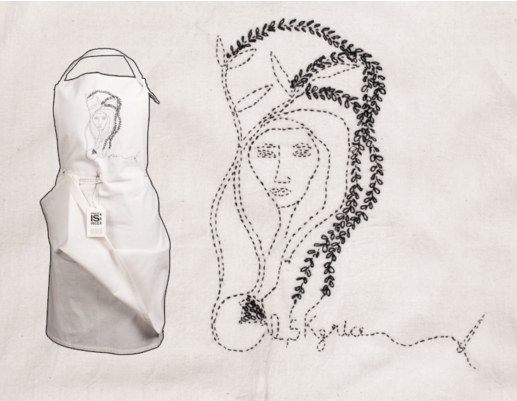 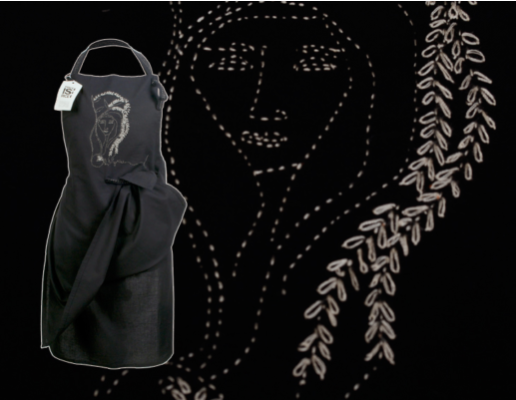 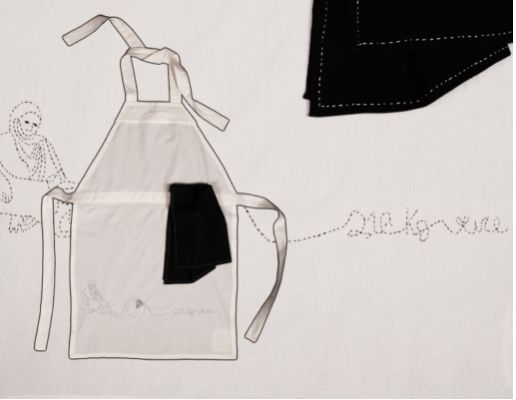 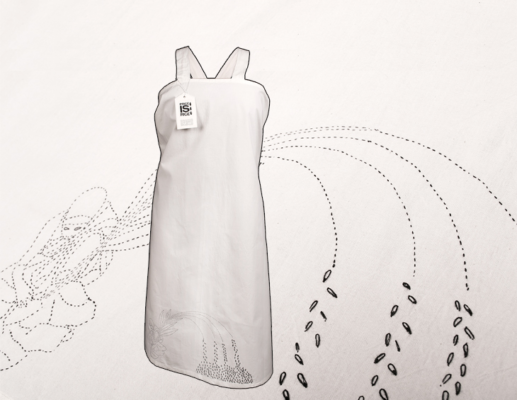 In black or natural cotton, these aprons are embroidered with Kantha, a traditional tecniques. 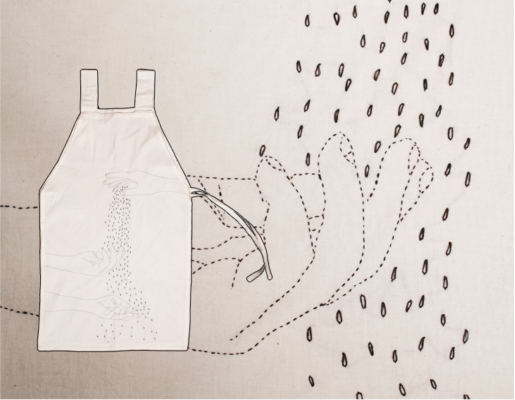 The drawings represents scenes of daily life, connected with alimentation and with rice’s growing.